Perhaps you spent childhood Sundays as I did – morning church followed by delicious pot roast and veggies then an afternoon drive in ‘the country’ with the whole family in tow. The back roads in Michigan are unparalleled rural beauty – hilly, curvy dirt roads with borders of massive tree trunks hoisting broad green canopies so thick it’s like riding through tunnels. Looking back to see the cloud of dust in our wake; following Dad’s finger pointing out a deer, a fox, a coyote in the field beside the road. Occasionally as we backed out of our driveway, we kids would scrunch down in the back seat – below window level – with our eyes closed. Dad would turn out of the driveway and about 15-20 minutes later, he’d stop by the side of the road and we’d have to guess where we were. Although I suspect it might have been his ploy to keep us quiet for a stretch, his stated aim was to help us develop our sense of direction. Dad’s ability to know where he was, and how to get home, was uncanny. It came from his years of living on a farm outside of town where he and his 11 siblings spent their time after chores wandering miles along streams and through woods, developing a sixth sense for navigational accuracy. No matter how convoluted that ‘short cut’ was, Dad eventually delivered us home without consulting a map. I couldn’t internalize Dad’s directional aptitude in Michigan. My dilemma was three-fold. Because the terrain all looked the same and there weren’t any distinguishing markers on the horizon, I didn’t know where I was hence I couldn’t figure out which direction I should head and, even if I did, I couldn’t discern that direction from nature’s clues. The sun, even when it wasn’t obscured by tree tunnels or cloudy skies, never seemed like a marker I could read. Sure sunrise was east and sunset was west, but during the daylight hours, I had a hard time discerning anything from the sun (or from the moss that supposedly grew on the north side of trees, for that matter). Colorado is different. Not only does the sun more distinctly position itself in the northern sky in winter and the southern sky in summer, but WE HAVE MOUNTAINS! A mountain range I can see from anywhere on the plains. No matter where I am, I can head for the mountains and sooner or later I’ll come to a north/south road at the base of the foothills. I know which way to turn because I know which mountaintop rests miles above my next-to-the-foothills abode. 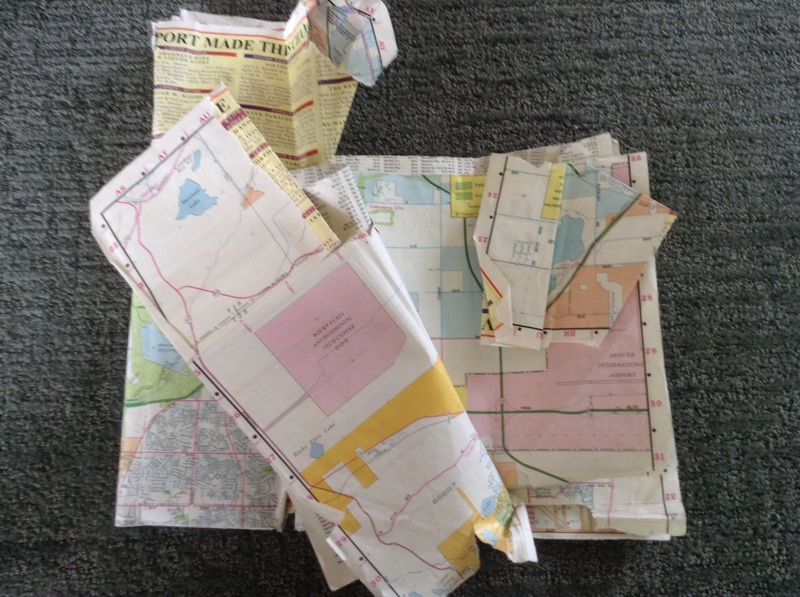 Nevertheless, my consistent use of maps – a stress saver in Michigan – has carried over to Colorado. Not so much because I need one, but because I have developed a fondness for maps that goes beyond finding my way from here to there. Maps are both literary and visual art (more on that in a future post). They lend themselves to time travel. Have you ever spent time at the library looking at old census maps or comparing a regional map from a decade ago with a current one? Maps provide off-the-beaten-path routes. They invite exploration in towns with culturally intriguing names. Do you like to take ‘the back way’ down an unfamiliar road or spontaneously divert to a town whose name intrigues you? Maps jog our memories. Do you point with delight to a long-forgotten vacation spot and spend an hour reminiscing about the highlights of that trip? Maps promote dreams of future travel. Who hasn’t browsed an atlas and identified several ‘musts’ for your bucket list? I am very happy with my GPS, Silvia, who has reconciled herself to the fact that I often ignore her sage directions, even when I’ve asked for her help. Secure in the knowledge that Silvia – like Dad – will eventually lead me home, I can even sneak in a stress-free, solo ‘country roads’ drive during my annual Michigan visit. Silvia gets me where I’m going when that’s all I need, but there’ll always be a place on my bookshelves and in my travels for my maps. What about you? What part, if any, do maps play in your lives? And finally … Can you fold a map along its original lines or does yours look like this? Coming soon … Bemuzin on the artistry & creativity of maps. I pretty good at refolding a map and, when I used them, they always looked liked new. I now use the satnav and no longer own any maps but I do often view them on the Internet. I still have a massive world atlas book (so old that half of the countries have been renamed!) and also an historical atlas showing the growth of civilisations, religions, trades etc. at certain periods in history. That one fascinates me. I do go to the local history centre occasionally to look at old local maps – to do with tracing my family tree. The really old ones are beautiful and you can actually see impressions of what some of the houses would have looked like. Eileen, your historical atlas sounds fascinating. I will be writing further on that topic – how maps provide history lessons and frames of reference – because I, too, enjoy the ‘romance’ and intrigue of that type of time travel. The funny thing was, my father-in-law who has lived in the area all his life, couldn’t find our place but my son had no problem whatsoever. Great ‘mapping’ anecdote, Greg. When you said ‘turn at white barn’ I thought next line was going to be something about 99% of heartland barns being white!! I guess I could use ‘turn south when you’re under Long’s Peak”. Love your son’s eyeroll generational comment. When I was little, my dad would pull out our huge atlas and together, we would decide where to go that summer. He’d show me the surrounding area, give a brief history lesson and tell me what we would see while there. I never appreciated these talks enough. They did not inspire curiosity as much as boredom. The trips themselves were frightening. All these foreign people, smells, overcrowdedness, poverty the likes of which I had never seen, but, now, I appreciate both his intentions and those trips. Without them, I would not have come to appreciate just how amazing it is to be an American (all of the freedoms and conveniences), and how special and wonderful those other cultures are. 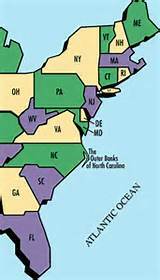 That said, I am geographically challenged, and my maps look like yours, because I am also hard on my belongings, especially books and maps. I rely on maps to get me places, because, like you, landmarks escape my notice, and I always end up on detours. I wish I was the type of person who could appreciate these forays, but I get frightened not knowing where I am, and feel the insistence to get back on track. Mapquest and Suri have helped enormously. Thanks for the lyrical trip down memory lane. We seem to repeat that line often as we finally realize some of our parents’ well-meaning intentions to counter all the things we think they did wrong! I’m with you on the relief that GPS brings particularly when driving in metropolitan areas. As Greg mentioned in his comment, most cities have an element of confusion in the layout of roads, and driving can be a real frazzler without GPS which can adapt to most detours and odd layouts. That sounds just lovely, the way your dad played that game with you! No, I didn’t spend my Sundays that way, but when I was wee, we drive around the city loop listening to music, usually on a Friday night. I loved it. Now and again, The Mister will drive me around the loop with a coffee and some tunes. I love him. I’m good with a map, right until it’s time to fold it. It does take me a while. Spatial reasoning is not my gift, lol! Aww that’s sweet about Mister driving you on the loop. Hub knows Denver inside out, and I enjoy going anywhere in the city with him because we don’t need maps or GPS so I can lose myself in all the beautiful architecture and street scenes. One of my favourite books from my childhood was Hammond’s Complete World Atlas. I still have it. Hubby tried to purge it just the other day – who needs out-of-date maps when we’ve got Google? Hold your horses, buster, that’s a prized possession! I used to pour over the pages for hours, enchanted by the different colours of the countries. The part in your story when you used to duck down and close your eyes reminded me of something. When I was a girl and a passenger in the family auto, if Dad was about to make a turn, I’d close my eyes and try to gauge when we’d come out of the turn. I was never correct – it always took far longer to complete a turn than my senses thought it should. Part of the appeal of this exercise was the dizzy sensation, the whirling in the tummy. Weird, eh? I think your curve challenge is creative, fanciful and perhaps an example of your scientific brain developing. Glad you kept your atlas – I have more to write on that historic mapping fun. Enjoy your weekend. We’re getting rain and more rain. I just love the “guess where we are” game your father played with you kids! It may have had the added bonus of keeping you quiet, but I bet it also helped to develop your analytical skills. I wrote a blog post on my love of paper maps early in my blogging “career” that was probably seen by as many as three readers. I look forward to your follow-up posts! Thanks, Janis. Dad always had a fun way if adventuring. I’m going to look for your post in your archives. The more I go through my maps and begin planning posts, the more ideas come to the forefront. I will enjoy writing them; thanks for your enthusiasm and encouragement! I found it! Well written and a nice tribute to your Dad. It sounds weird, but at this stage in life there are more momentoes pertaining to Mom and Dad that I wish I had than my own! A way of keeping them nearby, surely, but also time runs out before we fully realize all the parts of them we have yet to discover or understand. I find your Dad’s daily practice with the weather map fascinating, and exactly the kind of ‘mapping’ project that becomes art and history over time. I’m am with you on GPS vs handhelp map/atlas. GPS gives accuracy and security; map fosters inquisitiveness and possibility in the breadth of our travels. Thank you for finding and reading my map post! My husband and I just returned from a three-week road trip and you can bet that I had a map in hand almost the whole way! I think riding long distances in the car is a great way to ‘play’ with maps. We’ve done things like mark off states, state capitals, national parks, etc to see where we’ve been together and separately to decide what we still have to see – together!! GPS when I need to ‘get there’ for metro areas and getting home from back roads. Eh, it’s supposed to be rainy. But warm, so I’ll take it. We often took Sunday drives and I love the way you describe them. It’s amazing the little things we remember from our childhood that remains so vivid and important to us decades later. I am challenged when it comes to a sense of direction, often getting lost, but my family has a great sense of humor and adventure. My post that was Freshly Pressed was on directions and the way my father would give them. This was a great post. I think I’m going to re-read it tonight. Thanks for the link, Dan! I have plans for all kinds of map and mapping posts, quite a few linked to historical features. Thanks so much, Dan, for always adding to the conversation. I followed one of Jude’s blogger recommendations this morning and will most likely do the same with your blogger recommendation! Will you please give me your Freshly Pressed post link? I’ve seen the logo on your blog and wondered which of your post(s) were featured. Thank you!! Enjoyed it and commented on that post ! 😋 definitely easier to fold those digital ones!! Thanks for dropping by Sue. Like Jude, I’m going to really enjoy biking into your blog!! I’m working on an upcoming post called ‘Lost in Spatial” about being directionally challenged. From comments, I’m guessing a few readers can relate! We took Sunday afternoon drives though they weren’t truly happy memories for me as I suffered dreadfully from motion sickness as a child and after the first roundabout I’d be pleading with my dad to stop the car! But he did give me a love of exploring for the sake of it, no real end in mind, just wander and see what we could see. We kids squished in the back along with the family dog would play eye spy or find pub names with a colour or royal connections or animals or body parts. (White Swan) (The King’s Arms). Sometimes we’d end up in a park for a game of cricket and mum would boil the kettle on a primus stove and make tea. I don’t recall any use of maps though. Sorry about your motion sickness; I assume you outgrew it or the move to the front seat cured it. My sis didn’t suffer on our Sunday jaunts but on our annual vacation ‘up north’ she always threw up. I made sure I wasn’t sitting next to her! Your father obviously taught you well – what a wayfaring wanderer legacy you are creating with your photography and travel notes. I look forward to EVERY post you send across the pond. 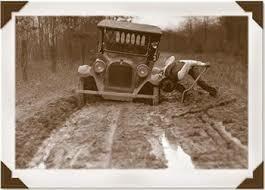 It’s not good when your navigator is not a proficient mapreader. If I’m driving, i scout out the map ahead of time (hub not quick enough on the draw) and usually ask Hub to hand it to me when I see his eyes slowly closing as the road lulls him to sleep. Haven’t tried Google maps for walking – probably because the tiny screen makes me so frustrated I would be ruining my walks! Thanks for being here, Jude. The OH also goes to sleep! Which may explain why he never knows where we are 😉 He must trust my driving! Heavens, you are talking to someone who only owns a phone that does texts and phone calls! I can’t imagine futzing with my phone in the city or country . I love me a good map, Sammy. We have a GPS in the car, but I never go without a map, which I like to read as we go along. Well, sometimes I fold a map so well each time that it falls apart at the seams. 😉 And sometimes it looks like a ball of moving day. Thanks for stopping by on your way to 3-2-1, Elen! I love maps and GPS because I have zero sense of direction and without them I’d still be going round in circles out in the middle of nowhere. Oh, Sammy, don’t! Ordinance survey maps are the bane of my life! They’re impossible to read in the car. The bit you want is always in a crease or on the other side and I get tied in knots trying to fold them and explain to Mick where we want to be. He just glances and assimilates. Why is that? They do hold me in their spell. It’s just that I’m not much good at navigating with their help. I love the old county maps too. Funny, isn’t it, when I’m spud useless at interpreting them. ‘Spud useless’. I’m gonna yse that in the same sentence as Jude’s ‘chin wag’ and flummox my grandkids !! Loved this Sammy thank you! Blindfolded and then having to guess – brilliant! My maps look pretty graunched … I would never use a GPS thingamy .. it would drive me nuts. I love my old atlas books and poring over them and imagining, though they’re so old that names have changed. Country Roads, take me home, to the place, where I belong – I heard that yesterday on the radio! A girl after my own heart poring over maps, especially ones with so many changes! I’m a long-time appreciator of maps, and in my teens I collected road maps as a hobby. That said, I’ve found the navigation on my iPhone very helpful when I’ve visited unfamiliar places. Most recently that meant New Zealand, where I was grateful for step-by-step directions because it was already stressful enough to have to drive on the left side of the street. Conventional maps are still ahead in one respect, namely that they’re so much larger than the screen of a phone. Thanks for visiting, Steve. You said it exactly – maps being larger than the screen. I appreciate GPS but I also feel slightly claustrophobic with it because it is so limiting in its breadth. I want to understand the ‘bigger picture’. I looked at your bluebonnets and also the Lady Bird Johnson Center link. That and the LB J library are two places I always visit in Austin. Speaking of maps and Austin, as many times as I’ve visited I’m clueless what’s where because my brother has no Austin map even though I’ve asked repeatedly. I’ve forced myself to gave up control (Gah) and just be pleasantly surprised when we turn into Central Market ! Am adding you to my follow list. Your Photography too good to miss! Thanks for your commendation on my photographs, Sammy. Yes, when it comes to printed maps, the big picture is such an advantage over a map on a cell phone. You can zoom out to get the bigger picture there too, but it’s a minuscule big picture (what a contradiction in terms). If your brother happens to be an AAA member, he can get free maps. I took advantage of that when I was recently in New Zealand, where my AAA membership was honored (although the guy in the office there tried hard to up-sell me to a more-expensive membership than the one that comes automatically as a reciprocal membership). Good idea – I’m an AAA member!! Now all you have to do is start planning some trips to countries that have automobile associations with reciprocal privileges. I’ll put in a good word for New Zealand, bast on my four weeks there, although it’s far away and takes a relatively long time to get to. New Zealand is in our top 3 choices. I promised Hub we’ll go … Just not sure when. But we’re going to leave the driving to someone familiar with the left!! I have a *thing* about getting lost so I don’t go anywhere without a map. Not only do I use a GPS, I also check a map in advance for the visual ,,, I can’t trust the GPS blindly. I am directionally challenged, Sammy…always have been. Now, you could drop my husband in a swamp and he’d find his way home. Me?? I’d make my home in that swamp. I would.